Läget och möjlighet att checka in tidigt och checka ut sent. Frukosten är bra och fräsch. Hotellet är öppnat i ny regi. Det är en gammal herrgårdsliknande byggnad i gammal stil förstås med många möjligheter. Krögarparet är mycket trevliga och man förstår att de satsar långsiktigt. För den som uppskattar denna stil och inte måste bo i standard hotel, så är detta ett utmärkt Hotel. Det är trivsamt och maten var jättegod. Jag återkommer. Läget helt ok, nära centralstationen. Sängen bra. Hjälpsamma med ett paraplylån , hjälpsam portier . Bra parkeringsmöjligheter. Gott kaffe och okej frukost . Rigtig godt hotel. God service, også når man ankommer sent. Glimrende morgenmad. Beliggenhed lige ved stationen: Suverænt, hvis man er med toget, men alligevel meget roligt. Vilka vroissanter? Frukosten var dålig! Ingen varm mat. Några svettiga ost och skinkskivor! Hotell Stinsen This rating is a reflection of how the property compares to the industry standard when it comes to price, facilities and services available. It's based on a self-evaluation by the property. Use this rating to help choose your stay! Hotell Stinsen is located in the heart of Hallsberg, only 650 feet from the Hallsberg Train Station. It offers free Wi-Fi internet access in all guest rooms. Each guest room at Stinsen includes cable TV, a work desk and a seating area. Most guest rooms offer city views. 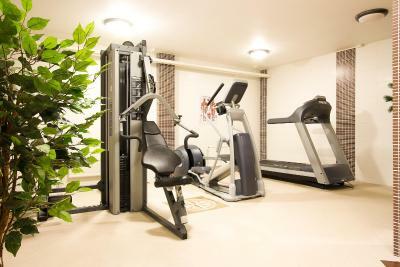 General facilities at Hotell Stinsen include a sauna and a gym. Hotell Stinsen is only 850 feet from the Bergööska House, which contains wall-paintings by the famous Swedish artist Carl Larsson. 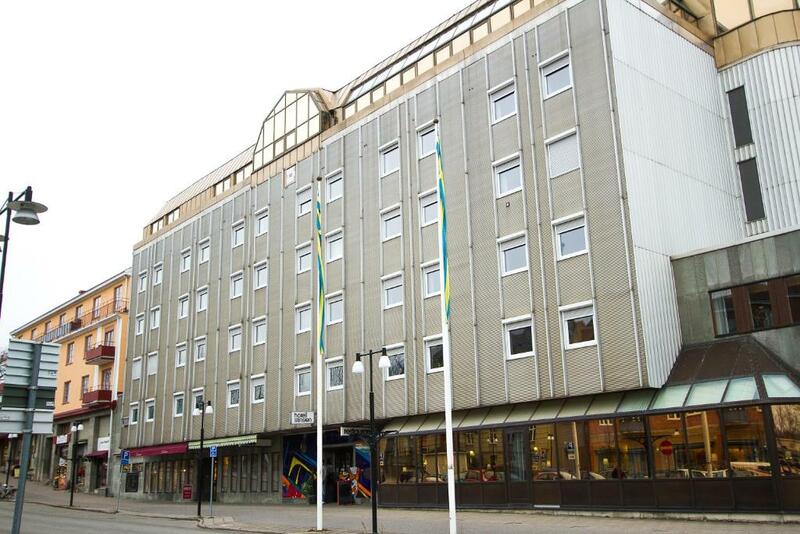 This property also has one of the top-rated locations in Hallsberg! Guests are happier about it compared to other properties in the area. 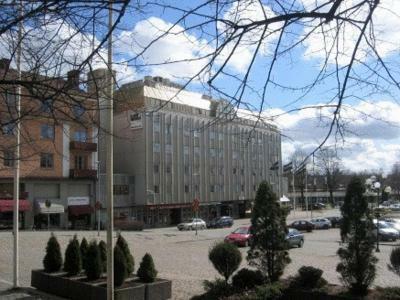 This property is also rated for the best value in Hallsberg! Guests are getting more for their money when compared to other properties in this city. When would you like to stay at Hotell Stinsen? This room comes with cable TV and free Wi-Fi. House Rules Hotell Stinsen takes special requests – add in the next step! All older children or adults are charged SEK 250 per person per night for extra beds. Hotell Stinsen accepts these cards and reserves the right to temporarily hold an amount prior to arrival. In case of arrival after 20:00, please contact the hotel in advance to arrange check-in. Contact details are included in the booking confirmation. Bad breakfast, it was almost all finished when we arrived for breakfast and it wasn’t replenish. The room wasn’t clean. We found trash under the mattress and bed. Couldn't find my reservation but room available anyway. No air con in room which was very hot.